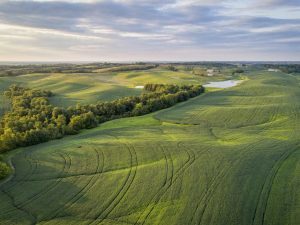 Farmers and conservation districts are key players in making water quality trading programs work, but there has been a gap in resources tailored specifically to support these people until now. Growing out of a workshop hosted by the National Network on Water Quality Trading, the “Handbook for Conservation Districts on Environmental Markets,” released earlier this year by the National Association of Conservation Districts and American Farmland Trust, provides guidance and lessons on water quality trading and other ecosystem markets learned from the real-world experiences of conservation districts across the country. 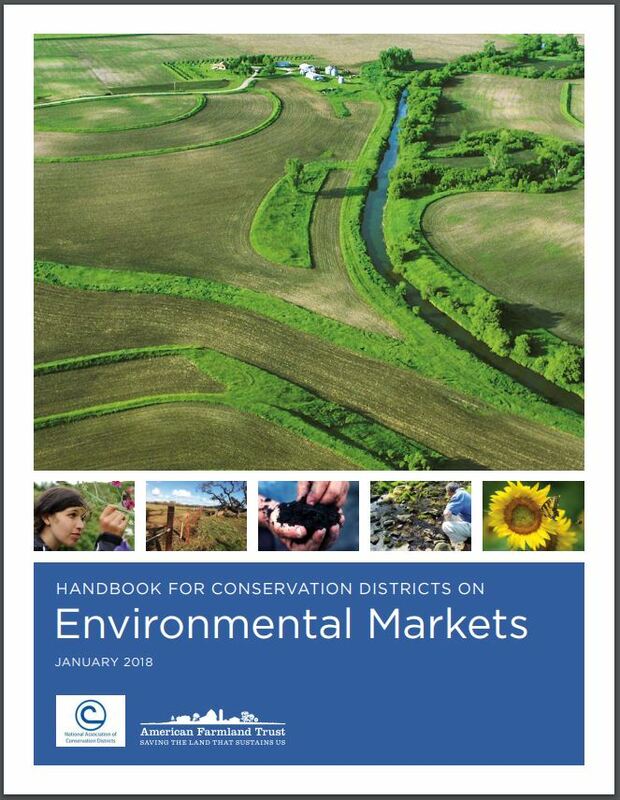 The “Handbook for Conservation Districts on Environmental Markets,” was released earlier this year by the National Association of Conservation Districts and American Farmland Trust and draws part of its findings and recommendations from a National Network on Water Quality Trading dialogue workshop last year in Sacramento, Cali. 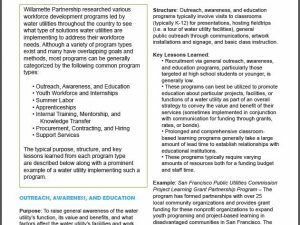 The handbook is meant to help conservation districts and their partners determine potential roles in water quality trading and other environmental markets programs. It includes key findings and recommendations, nine case studies from conservation districts across the country, and a checklist for conservation districts interested in water quality trading and other environmental markets. 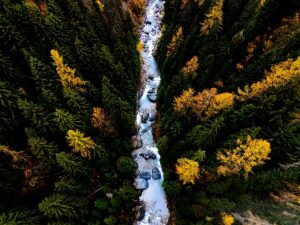 Part of those key findings and recommendations came out of a workshop held a year ago, put on by the National Network on Water Quality Trading, on how trading program developers and administrators could support conservation districts, cooperative extensions, crop advisers, and other “trusted intermediaries,” as they’re known in the field, in getting farmers involved in water quality trading. Over the two days in Sacramento, Cali., workshop attendees discussed the various roles and challenges that trusted intermediaries, particularly conservation districts, face when participating in water quality trading programs and how to address them. The National Network on Water Quality Trading structured the workshop as a dialogue to have people from agriculture, permitted point sources, state water quality agencies, and environmental groups share lessons learned and work collaboratively on innovations that can benefit the water quality trading community. 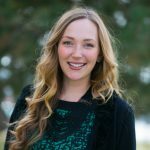 Willamette Partnership’s Kristiana Teige Witherwill coordinates the National Network on Water Quality Trading, which is a group of organizations from across the country working to improve consistency, innovation, and integrity in water quality trading. To learn more about the other takeaways from the dialogue, visit the summary report here. Or, to learn more about Willamette Partnership’s work with water quality trading, visit http://willamettepartnership.org/water-quality-trading/.